Calmness and space remained the primary qualities but there was something extra. The sound had more body. The reproduction of the lowest registers gained more pep compared to the monos. The tonal balance for the most part was the same and the higher mids and treble were equally distanced a bit. But the foundation was stronger which resulted in more powerful macro dynamics. As listeners, this made us much more involved with the tunes. Investigating more CDs showed how bigger ensembles lost less of their scale. Even synthetic bass such as from the Hadouk Trio or Mercan Dede came -- cautiously -- more to the front. Anyone without need for real slam will find with this TRV-CD4SE plus TRV-A300SE a combination that is musical and involving. You can listen for hours without getting tired and when the evening falls, the tubes spread their special glow in the darkness. Time for musical chairs. The somewhat reserved character had to come from somewhere. 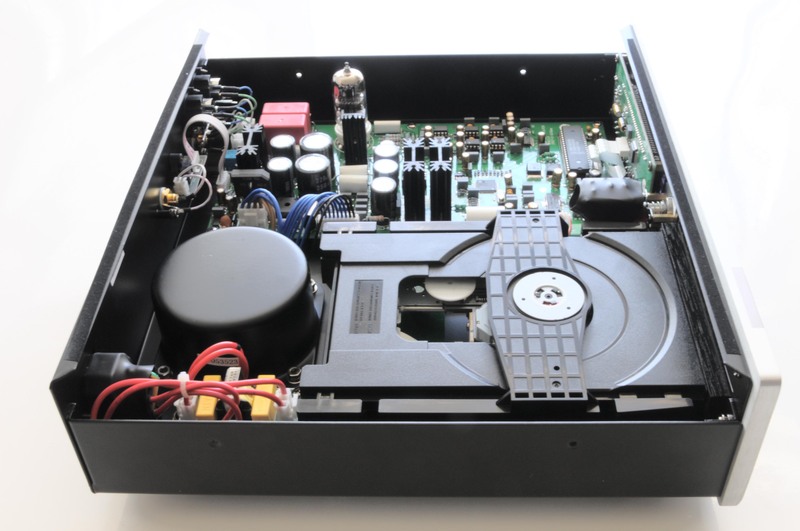 Now we connected the S/PDIF output of the Tri CD player to our Audio Note DAC. That left the TRV-CD4SE with only transport duties. And what arose? The TRV-A300SE seemed to undergo a full metamorphosis. No more reservations. The bass now had authority without a trace of modesty or withholding. The sound became both powerful and tense. The same went for the lower midrange while the higher mids came more forward together with the highest frequencies, giving the sound more directness and liveliness. Instruments freed up in space without losing coherence while voices grew body. But the biggest difference were the dynamics. Now there was controlled slam to heighten the illusion that you could touch the music. When the TRV-M300SE monoblocks benefitted from the same treatment, their bigger dynamic potential was tapped. In combination with the AN DAC, we were rewarded with the same enhancements in bass and a more forward sound. However, where the integrated amplifier also gained an injection of oomph, the monos lacked this. What created that difference in flavor? It had to be the 6SN7 input/drivers in the integrated. Our Audio Note Meishu integrated also runs a 6SN7 in its preamp section and is equipped with a pre-out. Why not test that combo, the AN as preamp into the two TRV-M300SEs as power monos? We fully opened their attenuators and the concomitant teamwork of 6SN7 and TRV-M300SE had what the English call 'bloom' - air and space in an almost tangible intensity. As it turned out, the TRV-M300SE monoblocks have everything a mid-power tube amplifier can offer after all. 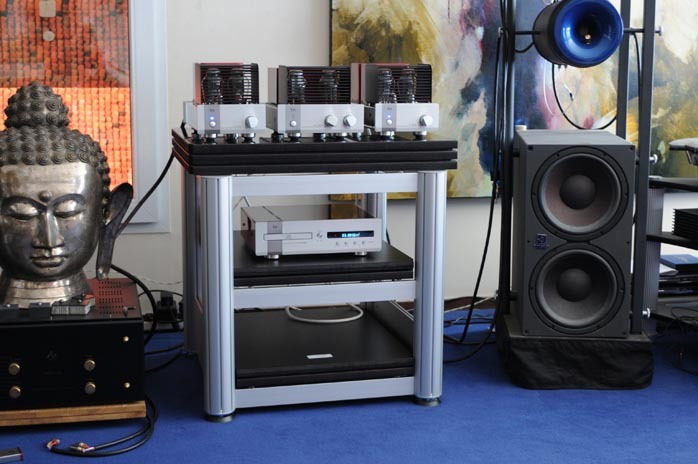 They are a joy on the eyes and give glorious musical pleasure with a nice tube preamp. Twenty watts per channel allow use of loudspeakers from 90dB sensitivity upwards. But there is something else to these amplifiers - the joyous art of tube rolling. 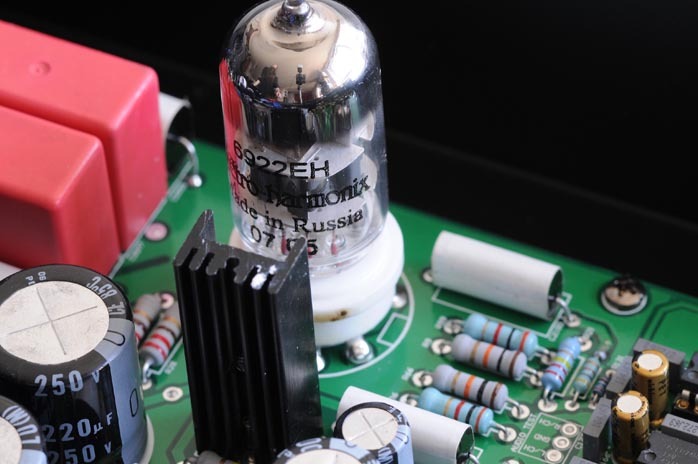 For the 12AX7 and 12AU7, there are plenty of alternatives to be found. For the 300Bs we already mentioned a few names. The stock Tri-branded Chinese 300Bs are not bad at all. But if economics allow, swapping them for a European or even US version is most satisfactory. The TRV-CD4SE offers a lot of musical pleasure for everyone who likes a calm non-fatiguing digital front end. Its character reminded us of the French Eera DL2. The TRV-A300SE integrated 300B amplifier is the one to fall in love with instantly. Everything from a classic 8-watt DH SET design with a very beautiful appearance is embedded in this offering, without black or dark gloomy colors but luscious candy-apple red, chrome and wood. 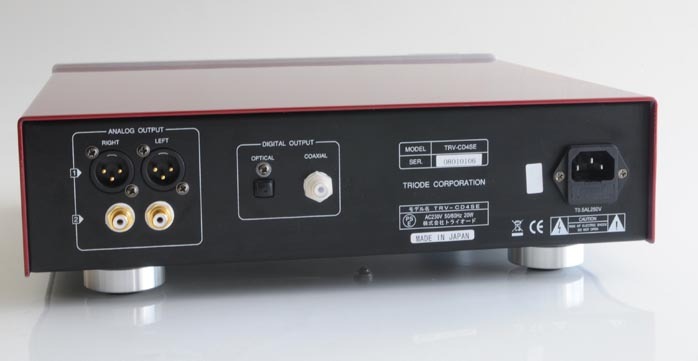 The TRV-M300SE monoblocks' price of €4.299/pr is somewhat steep but €2.199 for the integrated amplifier is very competitive especially if you consider its Japanese origin. Quality of packing: Fine demonstration of Japanese packing art. Reusability of packing: Several times. Quality of owner's manual: Simple but adequate. Website comments: Contains some useful info and specifications. Human interactions: Professional, helpful and very friendly via our Dutch distributor. Pricing: Reasonable for the quality of workmanship and sonics.